Viral Video: Watch middle-aged couple dancing on Lambergini song. Dance like nobody is watching! There is a couple from Delhi who broke the internet with their splendid dancing skills. Last time, they became an overnight sensation with an awestruck romantic dance in a black and white video. Now, again, they set the dance floor on fire at a recent wedding. 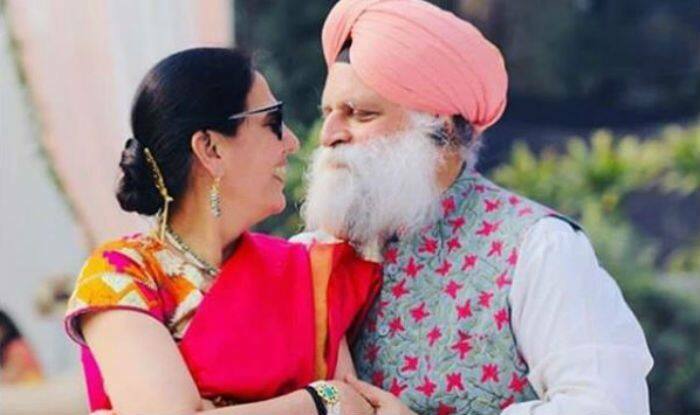 The video was shared by their daughter Gitana Singh on the occasion of her mother’s birthday. They can be seen dancing to the tunes of Lambergini by Speed Records. While sharing the video, their daughter wrote, ““Happy Birthday Mom !! Since the world has fallen in love with you two, and since this has become your song…I thought I’d share a little more love with everyone on your birthday unleashing PART 2 !! Grass, Dancefloor, or in between lunch tables, nothing will stop them ! !” The video has yet again garnered quite some attention with many complimenting the performance of the happening couple.